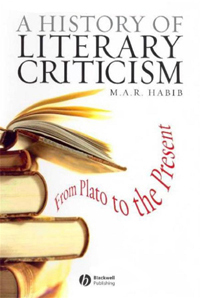 Literary Criticism in College Education: Who Needs It? 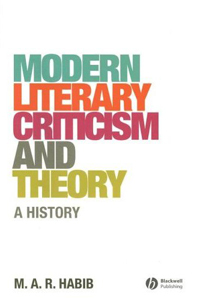 Looking back over the history of literary-cultural criticism and theory since the early twentieth century, we can discern a number of broad tendencies. 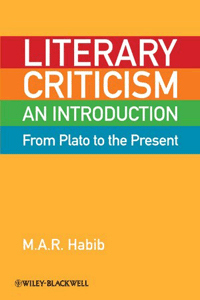 The first was a tendency, enshrined in formalism and then institutionalized in the New Criticism, to discover and define what is specific or unique about literature. The connections of literature with all other domains – though implicitly acknowledged – were analytically suppressed. 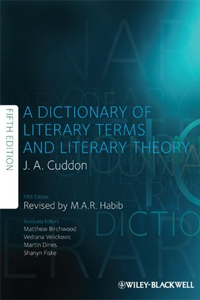 From one point of view, the critical approaches that came to be known as “theory,” each with its own inflections and motives, can be regarded as an implicit if not direct reaction against the New Critical claims as to the autonomy, independence and objectivity of a literary text. In this sense, modern theory embodies a series of endeavors to re-situate literature within other domains and broader contexts: Marxism, within larger economic-material and ideological contexts; structuralism, within linguistic categories and broader cultural sign systems; Feminism and Gender Studies, within the construction and representation of gender and sexuality; deconstruction, within underlying presuppositions and overlooked aporiai or difficulties; and ethnic and post-colonial studies, within the contexts of empire. Nearly all of these theories claim to oppose, in one way or another, the complex of ideologies known as liberal humanism. But what is liberal humanism? This is not so easy to answer. In the history of modern thought, liberal humanism has comprised the mainstream philosophies of the bourgeois Enlightenment, such as rationalism, empiricism and utilitarianism. The economic principles of bourgeois ideology, such as rationality, laissez-faire and free competition, have been expressed by the classical economists such as Adam Smith and David Ricardo. The political principles of democracy, individual rights, and constitutional government were expressed by figures such as Rousseau, John Locke and Thomas Paine. The imperial ideology and mission – not only to conquer other parts of the world for their economic resources but to submit them also to the civilizing effects of Western literature and culture – were expressed by figures such as Thomas Babington Macaulay, and many politicians, philosophers and scientists. All of these tendencies – as refracted through the philosophy of Kant – achieve a kind of synthesis in the philosophy of Hegel, the supreme expression of bourgeois thought, built on the philosophical principles of the Protestant Reformation and the French Revolution, uniting the divergent modes of Enlightenment thought such as rationalism and empiricism, and combining these with a Romantic emphasis on totality and the unity of subject and object, all integrated into a notion of historical progress. It was Hegel who most articulately expressed the notion of the relatedness of all concepts and entities, of human identity as a reciprocal and social phenomenon, of the world as a social and historical human construction, of identity as intrinsically constituted by diversity, of language as a system of human perception, and of the very idea of otherness or alterity as it informs much modern thought. Hence, the Hegelian system stands at the centre of modern Western intellectual and political history. In the second half of the nineteenth century, Hegel’s system, whose elements were held in a precarious unity and totality, disintegrated into a number of streams of thought, most of which opposed it: Hegelianism was continued in modified form in Anglo-American idealism and various strands of Marxism (which, however, substituted a materialist, economic base for Hegel’s idealism). Hegel’s philosophy was a “philosophy of the negative,” which attempted to challenge the world as merely given (by the history of feudalism) and to refashion both the world and human subjectivity in the light of bourgeois rationality. In this sense, the most general reaction against Hegel’s philosophy was positivism which, as a conservative philosophy, held that the world as it is given is the only reality we can know. Positivism came to be defined as any system of thought or inquiry which modeled itself on science, restricting itself to the evidence of the senses and refusing to engage in “abstract” metaphysical issues such as the progress of history, the existence of God or the subjective contribution of the human mind to the construction of what we call reality. In the latter nineteenth century, certain social sciences such as sociology (in the work of Comte and Durkheim) and psychology (and Freudian psychoanalysis) attempted to assume the status of science. What is important in our context is that the same tendency occurred in literature: the movement toward literary autonomy effectively began with Kant and proceeded apace through the nineteenth century, in the Romantics, the symbolists, aestheticism and then modernism. The modeling of literature on science was expressed first in bourgeois realism and naturalism (which urged that literature follow the laws of probability and exhibit scientific causality and detail). 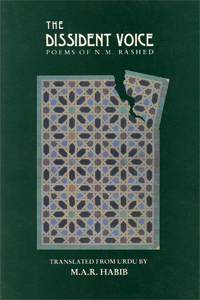 The ideal of a scientific literary criticism, with roots in nineteenth century French thinkers, emerged in Russian Formalism and then in the New Criticism, as well as in Northrop Frye’s work and structuralism: an attempt to treat literature – considered as an autonomous province – scientifically and systematically, evincing its peculiarly literary qualities. Hence, what was happening in literature cohered broadly with the general tendencies of liberal humanist bourgeois thought: a movement toward the relative autonomy and specialization of each discipline, the aspiration toward scientific status (even modernism expressed the ideals of impersonality and objectivity), and the aspiration toward universal and timeless truth. Other features of liberal humanism in the literary sphere, as expressed, for example by Matthew Arnold and F.R. Leavis, include the moral and civilizing nature of literature, viewed as a broad education in sensibility and (a redefined) citizenship. But liberal humanism is not so simply and easily to be defined. Liberal humanism has included both formalism and historicism, both scientism and moralism, both rationalism and empiricism, both objectivism and subjectivism. The commonly held view of liberal humanism – as harboring fixed notions of identity, the human subject, an independent external world, and as affirming that language represents reality – is a myth. It sets up a straw target. These notions are not principles of bourgeois thought: they are Medieval conceptions, going back to Plato and Aristotle, and they were already beginning to be challenged in the Renaissance. It was the very task of the bourgeois thinkers themselves to undermine these conceptions. There is no conception of a stable human self or ego in bourgeois philosophy: for Locke, the self was a blank slate, acquiring character only as experience writes on it; for Hume, it is a convention; for Kant, it is a mere presupposition; for Hegel, it is a product of historical forces and reciprocation with other human selves, which are equally constructed. The only stable human subject is that presupposed by bourgeois economics, as an abstract unit of economic value, competition and consumption. All of these philosophers strongly impugn the Aristotelean notion of substance as the underlying reality of identity and the world (Kant even makes substance one of the subjective categories through which we view the world); they challenge the notion of essence, which Locke effectively relocates from reality to language. In fact, long before Saussure, Locke recognized the arbitrariness of signs. The philosophers of the bourgeois Enlightenment wished to reject any transcendent basis for political sovereignty, morality, or for their formulations of identity, subjectivity, and the external world. They even rejected the notion of “reality” as grounded in any extra-human basis: they saw it as a projection of the human mind, of human categories of understanding, and of human language. Hence, the commonly cited accomplishments of much radical thought – the critique of essentialism, the discrediting of correspondence theories of truth and meaning, the deconstruction of identity, the exhibition of the constructed nature of subjectivity and objectivity, the emphasis on the constitutive role of language in that construction – had already been conducted within bourgeois thought, in the pages of Locke, Hume, Kant, Hegel and others. Two important features of liberal humanism are worth noting: firstly, it has always been changing. In fact, it could be argued that its very essence is change: not that of total transformation but of self-enlargement and Hegelian sublation or continual expansion to include and assimilate what is currently external to it. The second feature is its inherently internally contradictory nature; for example, the liberal humanism of each the Enlightenment philosophers is different from that of the others as well as from that of Matthew Arnold or Irving Babbitt. The very essence of liberal-humanist thought is non-identity: Hegel recognized that bourgeois ideals embrace many seemingly contradictory movements. So, much radical theory is internally structured by the heritage of liberal humanist philosophy, its pluralistic ability – as embodied in the Hegelian dialectic – to encompass several divergent perspectives under the umbrella of its own expansive non-identity. It was Hegel who articulated the capacity of bourgeois thought to sublate (to both transcend and internalize) opposition or variance from itself. His system inscribes and prefigures the internal structure of capitalism, its ability to absorb everything else – art, literature, religion, love, socialism, other cultures – into its own structures of economic value and significance, into its own expansive and ever-changing identity. This movement is also the inner dialectic of imperialism, its drive not only to conquer but to assimilate and integrate the Other; the Other is always necessary to capitalism, as something whose overcoming renews, reassures, reaffirms, redefines and revitalizes its own identity. Ultimately, the notions of difference, otherness, the challenges to identity, the view of meaning and all objects as relational, are Hegelian insights and represent modifications within the parameters of bourgeois thought. Even the undermining of authorship is a refraction through a linguistic focus of the Hegelian notion that historical forces act through individuals. Marxism itself has sometimes been co-opted into this extension of bourgeois humanism, its theory floating free of the historical conditions which are necessary to its distinctive Marxist characteristic. This continuity between the liberal humanist heritage and many branches of radical theory is expressed most profoundly in the latter’s deepening obsession with language, its sustained focus on the importance of language in structuring our world, and its retreat from referentiality. Derrida has expressed this obsession exquisitely in his statement that our epoch “must finally determine as language the totality of its problematic horizon.” We can read this statement as an indication that language has been instituted at the heart of every philosophical problem or inquiry. For example, where philosophers have conventionally explored the connections between thought and reality, what is now investigated is the connection between thought, language and reality: language is viewed as integral to both the process of thought and the construction of reality. Language has been similarly instituted within the connections between “man” and “woman,” between social classes, between conflicting moral and political systems, between various ideological perspectives, between present and past, and between differing readings of “history.” Since the beginning of the twentieth century (and even before this, in the work of Locke, Hume, Hegel and others), there has been an increasing recognition that these are not fixed categories but represent our ways of conceiving the world, and that we need to examine our own perceptual apparatus and the constitution of our own perspectives. In this, we are as much the heirs of Kant as we are of Saussure. This twentieth century preoccupation and obsession with language has been marked by a retreat from referentiality, from the idea that language somehow refers to or represents an external world of reality. The work of modernists such as Proust, Pound, Eliot, Faulkner and Woolf was marked by an intense awareness, derived from the French symbolists, of the limitations of language and its inadequacy for expressing the highest truths and the most profound strata of experience. The work of Marx, Freud, Bergson, Nietzsche and Wittgenstein was informed by an understanding of language as a system of concepts and signs whose referential value, whose capacity to refer to or represent the real world or the human self, is merely conventional and practical. Many of Saussure’s insights into language had long been anticipated and were hardly new; what was new was perhaps the fact that Saussure based an entire theory of language on its relational and conventional nature, as a system of signs (a view of Saussure now being challenged). Much modern theory is also characterized by this retreat from reality. Russian Formalism and New Criticism held that poetic language was unique and untranslatable into prose. 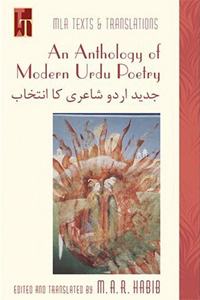 The New Critics tended to view poetic language as non-referential, not somehow expressing or describing any real world but erecting a self-contained verbal structure which had emotive impact. Bakhtin, who combined insights of formalism and Marxism, regarded language as the site of ideological struggle. Structuralism examined literary texts and broader cultural phenomena as patterned after language, as a structure of sign systems. In other words, the very form of those phenomena was linguistic. The analysis of language has been central to the work of Feminists, who have seen it as embodying male modes of thought and oppression, and as potentially transformable to express feminine experience. The psychoanalyst Jacques Lacan effectively rewrote much Freudian theory in linguistic terms, and held that the unconscious was linguistic in its structure and operation. For Derrida, there was no possible externality to language, nothing beyond the textual nature of all phenomena. For much reader-response theory, the language and meaning of a text were dialogic in their very nature, arising from an interaction of authorial and readerly registers. The New Historicism not only sees literature as one discourse among others, but, following Foucault, Derrida and others, views the social and historical context of literature as itself composed of a network of discourses, of ways of signifying and understanding the world. 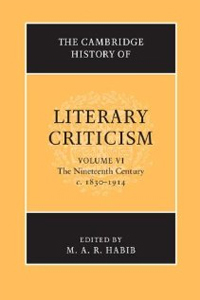 Many of the traditions of twentieth century criticism and theory, in retreating from referentiality, might be said to perpetuate in their own ways the Romantic and late nineteenth century reaction against bourgeois ideals and practice by exalting the category of the aesthetic, elevating the aesthetic itself into a vehicle of perception both higher than the mechanical plane of reason, and able to incorporate the sensuous and bodily aspects of human existence which were traditionally scorned by reason as institutionalized within philosophy and theology. The aesthetic, in this new elevation, is distinguished by an overarching self-consciousness whose irreducible medium is language. It is aware of itself as an historical and social product and of the world as its creation; language is integral to the creation of both. But, as Georgi Plekhanov said, the aesthetic, as in this vision, merely idealizes opposition to the prevailing order, freezing its focus on the gestures of subversion – as in widely proliferating phrases such as “creating a disruptive space” – rather than engaging in political opposition. The emphasis on language – and its heavily ideological role in the formation of various identities as well as of the realities we inhabit – has until very recently tended to displace discussion of the aesthetic, the moral, and the connections of literature to the worlds of realpolitik. While it is undoubtedly true that, as Derrida and many feminists have acknowledged, the very attempt to criticize the liberal humanist heritage entails a profound complicity with it, we can surely speak of different modes and degrees of complicity. And of course there is no externality to it without the possibility of political intervention. Indeed, it could be argued that a wholesale and bland rejection of binary oppositions enshrines a covert complicity, embodied most deeply in the refusal to oppose one’s own stance to the traditions of liberal bourgeois humanism. As Hegel, then Marx, then certain feminists, then Derrida acknowledged, the subversion of liberal humanism arises from within its own traditions. Derrida and many feminists have remarked that the very attempt to criticize the liberal humanist heritage entails a profound complicity with it. What is distinctive about Hegel and Marx is their realization that this complicity is not merely one of being obliged to use the language of one’s oppressors; rather, it indicates that subversion does not blandly oppose (this idea of opposition is another straw target) but sublates: it preserves what is valuable in what it subverts. Marx was very clear about this: the impulse toward democracy, toward freedom, individual liberties and the promise of prosperity for all – which remain at the level of mere potential in bourgeois society – must be realized. We might add that opposition must not be viewed in spatial terms, as a possible externality to an inside. Nor can we conceive it in merely temporal terms. Opposition implies a perspective wider than the original one, wide enough to preserve the driving features of its predecessor. The real threat to the liberal democracies of the West is not terror or fundamentalism – as the ideology of terror and the clash of civilizations thesis would have us believe – but the socialistic potential of Islam. 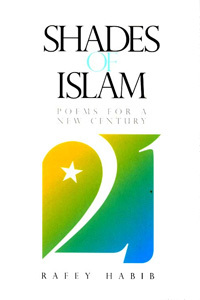 In order for this potential to be realized, the so-called Islamic world will have to pass through a transient stage of capitalism, which embodies humanist ideologies, or at least revitalizes the humanist strain that already exists within centuries of Islamic thought and practice. If clarity was an early bourgeois virtue, obscurity is a late bourgeois vice: not just a linguistic or terminological obscurity but an epistemological refusal of clarity, as in a panicked and manic refusal of binary oppositions, of identity, of distinction between entities: good, bad, man, woman, gay, straight, centre, periphery, religion, secularism: all is permissible in our ultra-pluralist world, all combinations, shades, mixtures, all permutations. The endemic phenomenon of such blurring reaches further and further into the depth of liberal pluralism and particularism, into an indifference whose very premise is its political ineffectiveness. We can surely recognize – as philosophers have long done – the constructed and often ideologically charged and oppressive nature of all these terms without sinking into registers of bland indeterminacy and confusion, often marked by a bland hypostatization of difference. The refusal of distinctions tends to be a politically conservative strategy: it is one thing to say that issues of class have a complex relation to issues of ethnicity, or that they internally structure each other; it is another thing merely to substitute or confuse one for the other. In this kind of confusion of registers, the political implications of any given approach are intrinsically unclear, such obscurity being inherent in liberal humanism’s ability to envelop critiques of itself into its own expansive identity, just as the Hegelian dialectic greedily integrates its other, just as capitalism devours all alternative traditions and cultures into its own, global, non-identity. Foucault’s analysis of power has proven widely influential, and is highly congenial to a political state of affairs where everyone engages in Foucauldian patterns of self-regulation. Sadly, to the extent that literary theory has mired itself in unnecessary obscurity, it has ensured its own political silence. All of this is to reaffirm that opposition – which, again, cannot be conceived in terms of a spatial externality – to prevailing ideologies is possible, and indeed is already widespread, as amply evident in the various progressive movements in the West, Latin America, parts of South East Asia, the Middle East and elsewhere. Liberal humanism is far from dead, and this is inevitable: some of its core values – freedom, tolerance, justice – must be realized within a broader conception of its original goals of both economic opportunity and cultural and intellectual enlightenment. The foregoing pages have argued that the oppositional nature of much theory – with the best intentions – is still caught within the negative phase of the Hegelian dialectic, in the phase of mere negation, without a positive political agenda beyond various modes of localized internal reformation. Again, this is not to deny the value of such opposition: it does rest on a moral and ethical agenda, and concrete values of economic opportunity and justice, racial, religious and sexual tolerance, and the striving after genuine democracy. Recently, overarching political circumstances have precipitated a welcome development in literary and cultural theory: the values cited above – of democracy, freedom, as well as the integrally related values of critical reading and liberal education – are beginning to be asserted by literary and cultural critics moving into a greater conception of their own public roles. Indeed, one of the good things to have emerged in recent years is a greater clarity of the terms of debate: for all of the talk that we are living in a postmodern world, that the operations of power are diffuse, that identity is multi-layered, language polysemic, that difference is more original than identity, the lines of political opposition are in some senses clearer: between those who wish to promote the values enumerated above and those who fundamentally oppose them (while paying lip service to them). 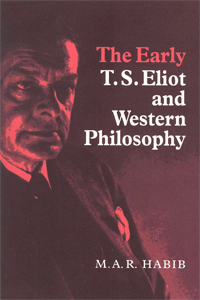 As both Marxists this century (the Frankfurt School through Williams, Eagleton, Zizek) and liberal scholars (Nussbaum, Scarry, Carey) have recognized, these vast debates do not rest on purely economic foundations: a great deal of work needs to be done in the cultural and political spheres, and the knowledge accumulated through centuries in the traditions of literary criticism, the liberal arts and more recently the social sciences needs to be more explicitly visible in its application to, and shaping of, these spheres. Page last updated at 1:42 pm May 10, 2013 . This page was printed from habib.camden.rutgers.edu/publications/essays/the-myth-of-liberal-humanism/ on Thursday, April 25, 2019.